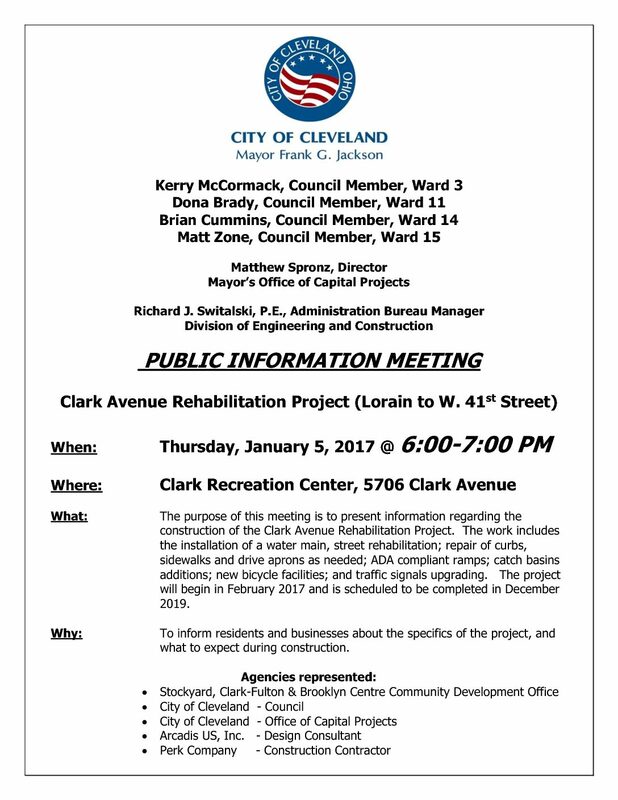 The purpose of this meeting is to present information regarding the construction of the Clark Avenue Rehabilitation Project. The work includes the installation of a water main, street rehabilitation; repair of curbs, sidewalks and drive aprons as needed; ADA compliant ramps; catch basins additions; new bicycle facilities; and traffic signals upgrading. The project will begin in February 2017 and is scheduled to be completed in December 2019.